Genuine replacement washing machine drum paddle with 12 holes. Dimensions of base 225mm x 55mm. Also known as a drum Lifter, drum agitator, clothes lifter or agitator. 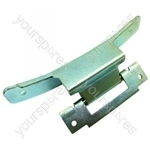 Choose a manufacturer to reveal the models that the part Genuine Washing Machine Drum Paddle 12 Hole Type is suitable for. 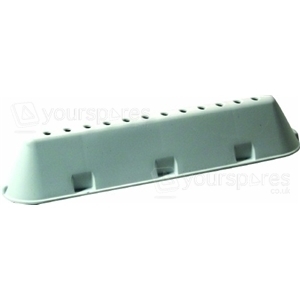 Search our range of Genuine Washing Machine Drum Paddle 12 Hole Type C00268109 by Indesit models by entering your model number to perform a search. 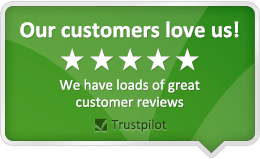 Write your own review of Genuine Washing Machine Drum Paddle 12 Hole Type. Delighted with these. Strong. Easy to fit. Did the job exactly as I hoped. Exactly what I ordered and delivered quickly as usual. Perfectly happy with the company and will use them again in the future. second time I've used them, very quick and 1 of cheapest on the internet, don't bother looking at other sites anymore. would recommend. Exactly what was wanted, does the job. Arrived on time and all in order. I need to find a drum paddle for a hotpoint wmt03 washing machine, the part I need has 21 holes. Hope you can help! Hi, is this suitable for Indesit model WIDL 126?